Meet Eileen Gray, the female architect behind the world-renowned E-1027 house and a pioneer of the Modern Movement in architecture. In 1924, her work began in earnest on a small villa by the sea in the south of France. Nearly a century later, this structure is a design milestone. 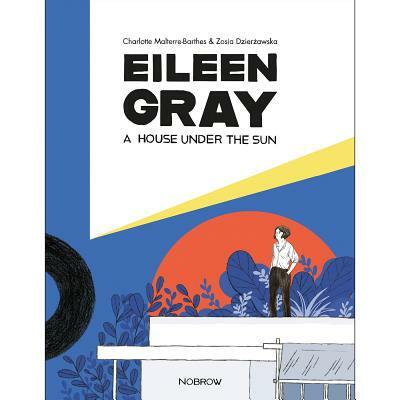 But like so many gifted female artists and designers of her time, Eileen Gray's story has been eclipsed by the men with whom she collaborated. Dzierżawska's exquisite visuals illuminate the previously overlooked struggles and triumphs of a young queer Irish designer whose work and life came to bloom during the 'Années Folles' of early 20th century Paris. Charlotte Malterre-Barthes is a French architect and urban designer who graduated from ENSA-Marseille and TU Vienna. She is currently Director of Studies of the MAS in Urban Design at the ETH Zurich, where she now lives. Zosia Dzier&#380;awska is a Polish illustrator and comic author. Architecture and living/urban space have always been important in her work as in her short story Waiting Rooms. This is her first book to be published in the U.S. She lives in Zurich.